The estate of Cleveland artist, curator and collector Bill Radawec (1952 – 2011) will be going under the gavel at Ohio auction house Gray's. 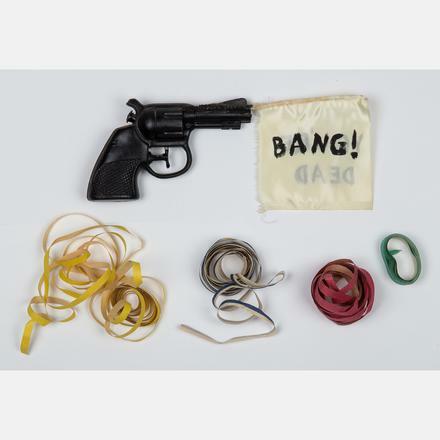 As well as works by Radawec, the sale will feature pieces collected through his relationships with other artists together with artwork from the collections of other notable collectors. 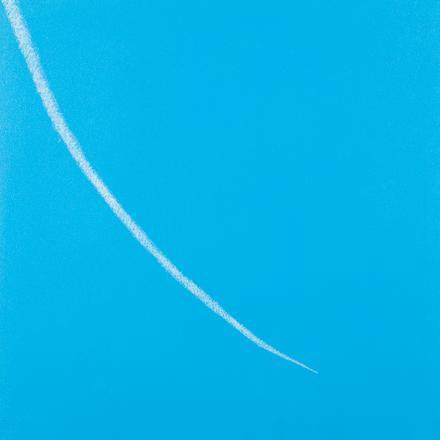 Radawec's Out of the Blue series is a collection of paintings depicting jet contrails set against the bright blue sky on September 11, 2001. These were inspired by the arcs of jetliners changing course after the terrorists took control of the planes. Some of Radawec's artworks are autobiographical, such as his Crack-up Series, which recreates the cracks Radawec found in his apartment after the 1994 Northridge earthquake. Radawec was also a curator, gallery owner and a prodigious collector of his contemporaries' work. 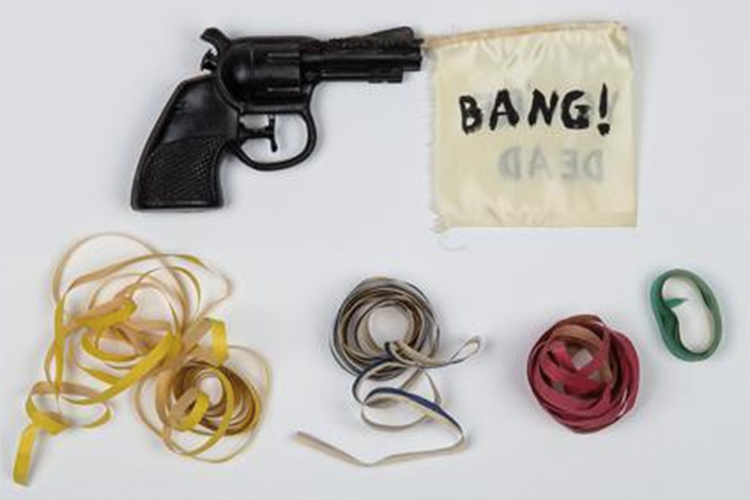 Many of these conceptual pieces are included in this auction, including Karen Kilimnik's haunting installation Bang You’re Dead, Gun with Flag and Streamers from 1991. This lot also includes two handwritten letters to Bill from the reclusive artist. 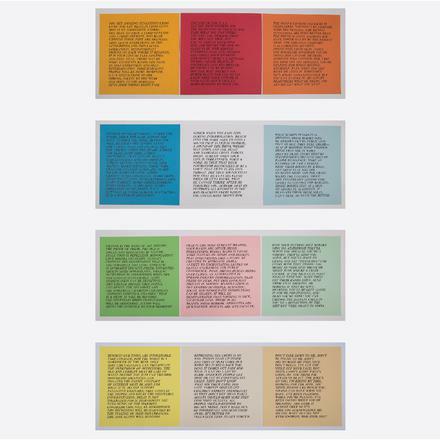 The rest of the sale reads like a modern Who's Who in American Art, with works by William Sommer, Ellsworth Kelly, Sam Gilliam, Laurie Simmons, Jenny Holzer and Nan Goldin. 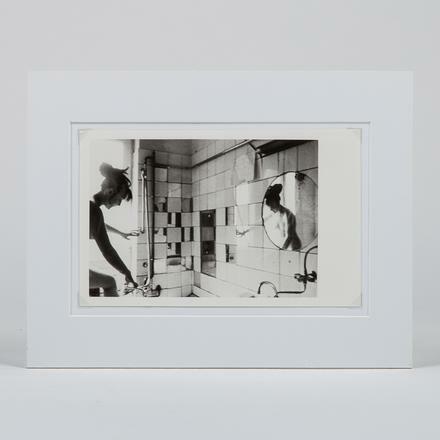 The Modern, Contemporary And Conceptual Art sale will take place on September 28 at 11 am EDT. Search the full sale here.